This paper uses the panel vector error-correction model to explore the Granger-causality relationships between inflation, innovation and economic growth. This study covers 25 countries classified according to their firms’ extent of capacity for innovation between 1990 and 2014. The econometric analysis gave various images and very interesting results concerning the causality links between the variables in the short and long run, especially between the inflation and the two measures of innovation. Including two different innovation indicators offers a rich menu of possible causal patterns. We found that the innovation productivity is more responsive to the inflation in the most innovative countries. However, the innovation funding is more sensitive to the inflation in the less innovative countries. The originality of this study stems from three aspects: First, two measures of innovation are considered—innovation funding and innovation productivity. Second, the causality nature between the inflation and the innovation is not revealed yet in the literature. Third, using panel VEC model to discover the causality link between more than two variables in the short and long run and for two samples is an important contribution and a complicated method. I would like to thank Professor Akri ben Salah, Professor Mohamed ben Mimoun, and Professor Hedi Zawchi for their valuable and helpful suggestions. The authors are the only source of funding for this paper. This article is original and contains unpublished materials. The corresponding author confirms that there are no ethical issues involved. Ramzi, T. & Salah, A.B. (2015).The determinants of innovation capacity in the less innovative countries in the Euro-Mediterranean Region. 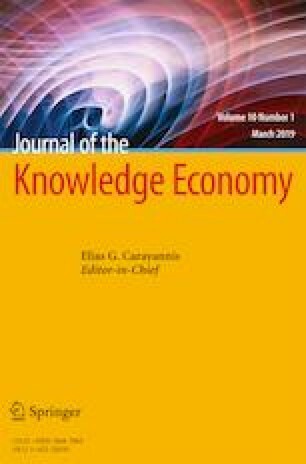 Journal of the Knowledge Economy, pp 1–18. DOI : 10.1007/s13132–015–0347-3. Toole, A A. and Czarnitzki, Dirk. (2008). Patent protection, Market Uncertainty, and R&D Investment," ZEW Discussion Papers 06–056.